These are the most changes I've made to JobMob in over a year. This is something I'm excited about. If you’re a blogger, journalist or any other kind of online publisher, you can use the Community Favorites to share your best content and grow your personal brand. If you're NOT a blogger, journalist or any other kind of online publisher, that's OK- use the Community Favorites to help other people with articles that helped you. And don't forget to tell your blogger friends to stop by as well. Use the Submit Favorites page to submit links to job search and career success articles that you really liked. Each submission will be moderated and if all goes well, your submission will get published and appear in the sidebar on every page of JobMob with a byline saying that it was submitted by you. Considering how much traffic JobMob gets (well over 1.5M pageviews in 2009 so far), if the published link you submitted was to an article on your own website, you're going to get traffic. Like most other blogs with a Community Favorites feature, once enough new submissions are published after yours, your published link will be pushed off the sidebar. Unlike most other blogs with a Community Favorites feature, all such “pushed off” links won't disappear. Instead, they go into the JobMob archives where they can still be found by search engines and lead to more clicks and traffic to their destination websites. Why not submit a favorite now? You can find the Submit Favorites link in the sidebar or in the footer links at the bottom of each page here on JobMob. Thanks to Steven Snell of DesignM.ag for his valuable advice in getting this feature done for you. This new feature appearing in the JobMob sidebar shows a ranking of the people who have left the most comments on JobMob articles in the past month (although I will probably change it to ‘week' later). Like with the Community Favorites, appearing in the sidebar means being seen on every page of JobMob. If you have a website and make it onto the Top Commentators list, your name will appear linked to your website. If you comment a lot, you could stay in the list for up to a whole month, which means a lot of people will be seeing your name and getting a chance to click through. Tip: if you don't have a website or blog, use your LinkedIn profile vanity url in the ‘Your Website' field when submitting a comment. This way people can click through to something impressive. This is a feature for you bloggers out there. The idea is simple: reward commenters on JobMob with a link back to a recent article on their blog. When you leave a comment on JobMob: by putting a blog's url in the ‘Your Website' field, CommentLuv will automatically find the latest post on that blog and automagically add a link to it beneath your comment. Update 01/06/10: This feature was removed since it mostly seemed to attract spam comments i.e. real people who wanted to comment, they'll do it whether you have CommentLuv installed or not. A lot of people have asked me about this bar that now appears at the bottom of your browser window when viewing JobMob. 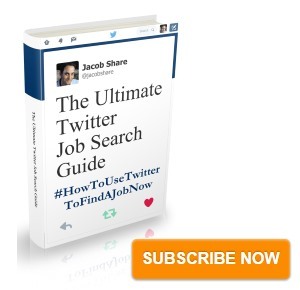 It's handy for searching JobMob, translating an article, etc. Update 01/06/10: This feature was removed after almost a year of use since it slowed down the site for every visitor while only providing marginal benefits to the blog as a whole. One good blog article achieves more. These buttons now appear in full, large size at the top of every article and in small, chicklet-size at the bottom of each article. With 1 click, you can share any article directly on Facebook or retweet it over Twitter. 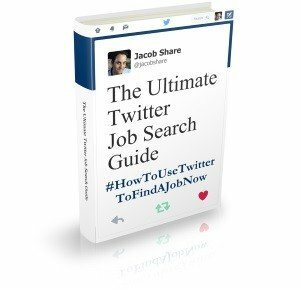 Subscribe to JobMob via RSS or email and follow me on Twitter for more tools to make your job search easier. Interesting concept, will submit and see how it goes! .-= Jorgen Sundberg´s last blog article was The Funniest Job Posting on LinkedIn? =-. Nice work Jacob. I’m looking forward to seeing it all work nicely on the site. .-= Israel W´s last blog article was Chanukah Sameach 5770 – חנוכה שמח תש”ע =-. I like how enduring the community you’ve created has proved to be.